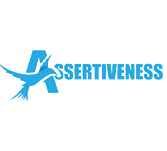 Assertiveness is the quality of a person who always respect the feelings, thoughts and beliefs of other people and as well as their own respect in appropriate and amiable way. It is a mode of communication characterized by self confidence standing up with their own rights without any proof. This tutorial is specially designed for those young professionals who need help to deal with difficult co-workers at the workplace, and expressing their thoughts and opinions in a non-aggressive manner. Before looking at this tutorial, you need to be honest enough and need to recollect past incidents that occur to look at them objectively and learn from simulation.